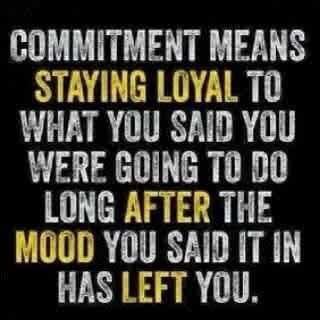 There are many aspects to being committed so let us look at the most important ones. If you can get even a few of these aspects right you will be very successful. 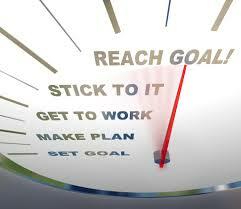 If you could get them all right you will have incredible success with your weight loss and other life goals. First up, commitment means not giving up at the first problem, indeed not giving up at any problem! You should expect problems and you need to find away under them, over them or through them! No journey is a smooth ride and neither will your weight loss journey be. Simply having this attitude alone is a transforming factor. You need to accept that there will be problems and be prepared to deal with them and not use them as an excuse to give up. Commitment is expecting problems and being prepared to solve them. Commitment means recognising your own self responsibility for your weight problem and your weight loss. This requires another attitude change. You can blame circumstances, events and other people for your weight problem and lack of weight loss success forever and you will never make any progress. Blaming others is an easy game and you are rarely right anyway. The TRUTH is that you are where you are, because of YOU! Ultimately it is actions you took or actions that you didn’t take that have you where you are. The buck stops with you. Now this can be hard to take on board but it is true. Like everything in life, you ultimately control your own destiny. True, circumstances, events and other people might be contributory factors but most of the control is within you yourself. This is exactly why some people who have been dealt a much harder hand then you, can elevate themselves to achieve their goals including weight loss success. Commitment is recognising that you are ultimately responsible and control your own destiny. Commitment means that when you do breakdown and go off the rails, you re-focus and get back on track immediately. Recognise it for what it is, just a temporary upset, it is not an excuse to give up. You have some good work done, do not waste it all. The sooner you get back on track the better. Forgive yourself, don’t beat yourself up and restart at the first chance. Commitment means not letting a relapse become a total collapse. Commitment means when you think you are too tired to exercise, or think you don’t have the time to exercise, or think you don’t have the willpower to stay on your diet, or that you are too old to lose weight, that you recognise that most problems or barriers are actually false. Things are never as bad or as hard as they seem. Your mind has a great way of exaggerating problems or barriers. You need to realise that you can actually go and do these things and you need to go and prove that you can. When you actually go and do something despite these problems and barriers presented by your mind, this is called a ‘breakthrough’, you have overcome the negativity of your mind and proven to yourself that you could do it. The more ‘breakthroughs’ you achieve, the better your power over your own mind and the easier it becomes to dismiss false problems and barriers. Commitment is achieving ‘breakthroughs’ despite your mind presenting problems and barriers. Commitment means that when you do go off track and have a disaster diet day or miss an exercise session, that you immediately plan to compensate for these upsets. 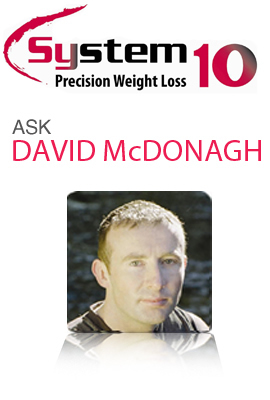 You should aim to work harder on your diet the next day and make up for the lost exercise session as soon as possible. It is inevitable that you will have bad days and weak moments but they only become an issue when you do not make up for them. Commitment means always planning to payback for upsets as soon as possible. One of the biggest mistakes in weight loss is when you keep making excuses week after week for not doing things or not getting to a certain level of results. Excuses will always be found if you look hard enough. There has to come a point that if you are not achieving what you have planned that you stop and review what is happening and plan some solutions to the problem. Do not continue on the same road. Perhaps you need closer supervision, a new exercise strategy, a change of diet? Something has got to change. Commitment means having a deadline for change if what you are doing isn’t working. Expecting problems and being prepared to solve them. Recognising that YOU are ultimately responsible and control your own destiny. Not letting a relapse (where you go off the rails) become a total collapse. Achieving ’breakthroughs’ despite your mind presenting problems and barriers. Planning to payback (make up) for upsets as soon as possible. Set a deadline for changing what you are doing If it isn’t working. Commitment is a skill that needs to be worked on and you now have some very simple techniques to do this. You need to be prepared to try out these tasks and persist with them for a little while. They have worked very well for others and they will work very well for you with a little effort. Try it and see! Commitment means being prepared to practice these skills!